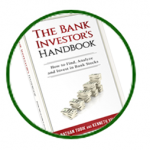 Author and blogger Nate Tobik recently asked, "How can small community banks survive?" His short answer is to turn sleepy deposits into profit engines through IT re-investment, increased cross-selling and building new relationships. In regards to IT re-investment, we have project-planning software for that you that requires no IT at all - just a little bit of Software as a Service (SaaS) that installs in minutes and requires no IT guru nor costly hardware investment. Project Plan 365 runs on whatever is on hand: desktops, tablets, smartphones - does't matter, our app runs on everything - including PC, macOS, iOS and Android platforms. And you get it all for just one low subscription price per user per year. Put another way, Project Plan 365 won't break the bank. Project Plan 365 is a project management tool that can be deployed by financial institutions of any size. For example, a small-town banker can use Project Plan 365 to plan out and schedule the development of a new investment tool or customer offering. 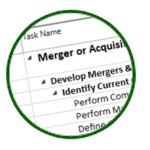 Larger institutions can use our software-as-a-service to plan out mergers and acquisitions, or to plan out their next office opening. Have multiple projects ongoing? No problem, Project Plan 365 also provides project portfolio management, including dashboard reporting and easy sharing of plan data to all that need, regardless of whether they are inside the institution or out. Our features and functions are comparable with systems costing 10x the amount, and were designed by project managers, for project managers. Need to track the performance of your competitive or market analyses? Do you have plans to track your risk management processes and procedures? Is development of SEC documentation giving you a headache? Then we have an app for you! Project Plan 365 comes with common templates that are common to your biz - from Risk Management to Mergers and Acquisitions and more. If you are using spreadsheets for project management work, well, you are wasting time. Our app does not require formulas or macros when developing new product schedules or to do simple tasks like calculate baselines or critical paths. Instead, just breakdown the work, select an appropriate template to get started designing, and off you go - ready to collaborate (in real-time) with your team and with your stakeholders. Bath State Bank of Illinois has $143m in assets and they are earning 4.68% on earning assets, and pay .7% to fund them. This leaves the bank with a 3.98% net interest margin, out of which they they pay expenses (salaries, back office expenses, etc.) In 2015, the bank was able to earn $1.4m and generated a 10% ROE. Not bad for a small community bank! But Bath is more than just a bank, they are a vibrant part of the community, providing tours to grade-school children, promoting Read Across America week, assisting in the Relay for Life program, supporting 4-H youth (serving as clerks for 4-H livestock auctions), and even presenting at seminars on better banking; these are just a few examples of Bath State's staff involvement within the community. So how can Bath State manage all these important side projects? Introducing Project Plan 365, project management software that allows small banks to design, schedule and manage such activity like the pros do, and all without breaking the bank, nor interfering with ongoing bank business. 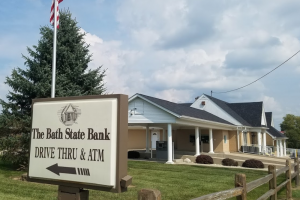 Project Plan 365 allows banks like Bath State to add a project management regimen that is as secure and robust as their financial offerings. Try Project Plan 365 today to see how.